Welcome to July's Joyful Stars Blog Hop. Each month we will be posting creations that we have made. During the blog hop each blog will redirect you to the next blog to check out all the wonderful creations that have been shared. Please enjoy the ride on the Blog Hop. These are items that I made for Make n Takes. I used Ariana for the card and Ivy Lane for the small purse. June is my first month of joining Joyful Stars Blog Hop. Each month we will be posting creations that we have made. During the blog hop each blog will redirect you to the next blog to check out all the wonderful creations that have been shared. Please enjoy the ride on the Blog Hop. This is a box card that I created for a friend. 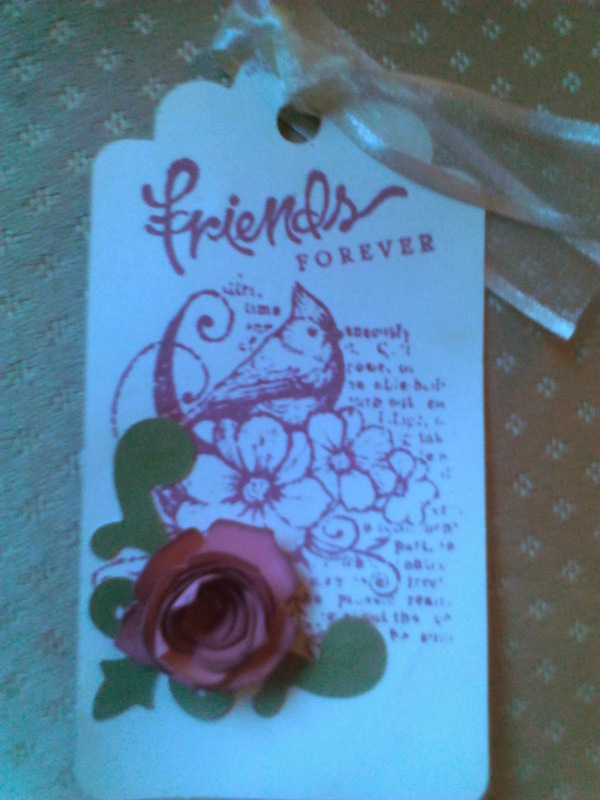 It is a similar card that I made for Joyce's Spring Fling. This Card fits in an A2 envelop and the base is made from Blush (X5640) Cardstock and the CTMH B&T Ariana (X7179B). The flowers and leaves were cut from the Art Philosophy (Z1686) and the butterfly and tag were cut from the Artiste (Z1790). It was a lot of fun to make and there is so many variations that can be completed to fit your needs. I had so much fun making the card I am in the process of making a couple more. This is a great video on using the CTMH embossing folders. Spend $50 and you can purchase the stamp of the Month for $5 or you can purchase it for $17.95. Place a $50 order in the month of February and you can get the Stamp of the Month for $5!! THE SPRING/SUMMER CATALOG IS HERE!!!!! 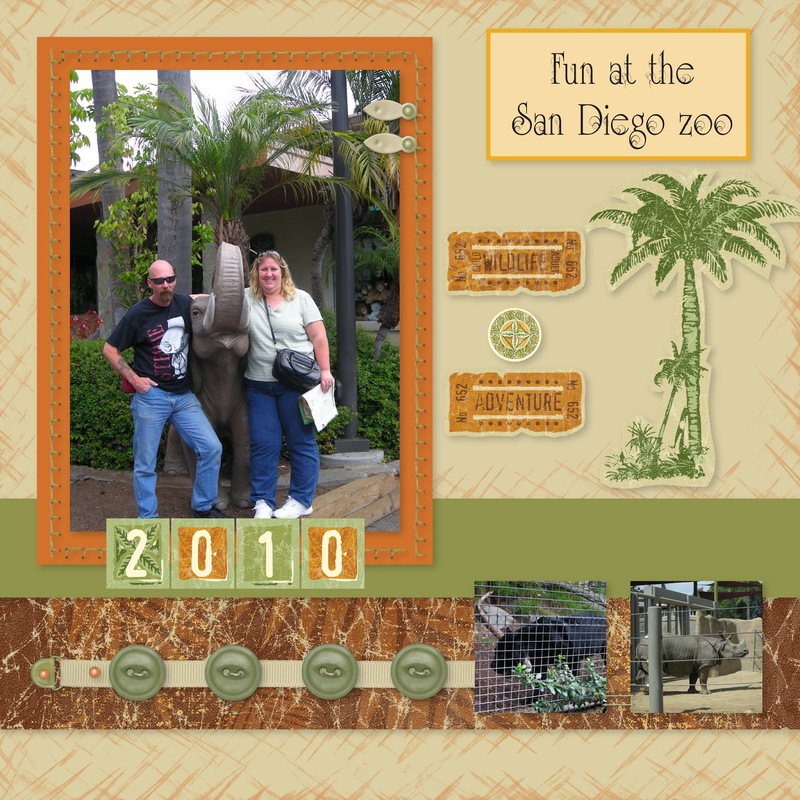 "I Love to scrapbook but I don't have the time"
If this is you, try our Studio J program. Nothing to download. 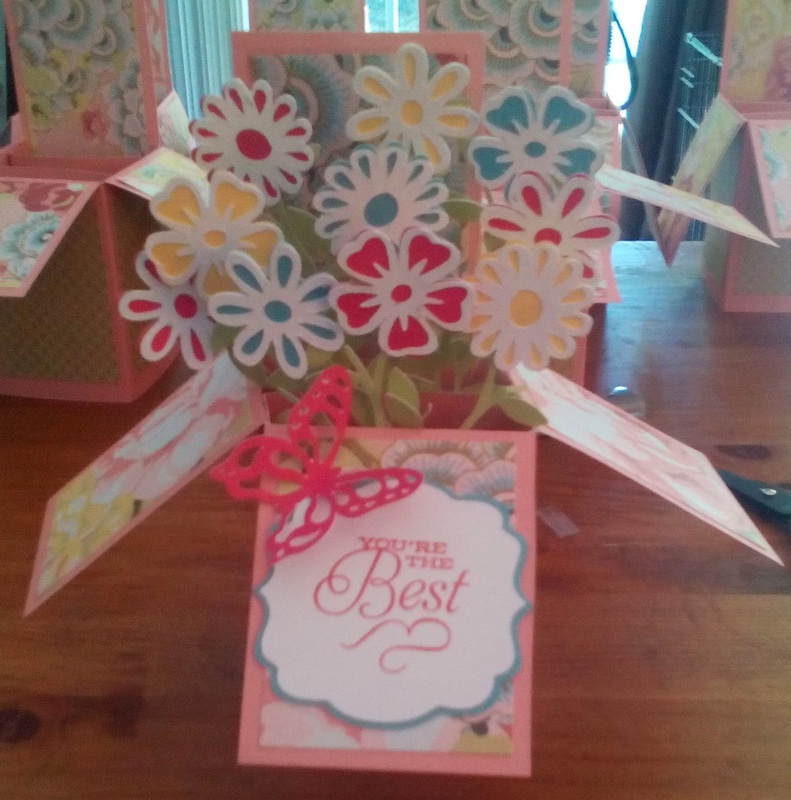 Create your own design using CTMH paper packets. Choose or create your own layouts. Add embellishments and journal entries. Check out the Studio J tab of my Blog for more examples. This is a Birthday Card that I created for a friends Birthday. I love being able to customize my cards to fit the person. It makes the Birthday wish more special. This was one of my favorite papers that CTMH has had. This paper has been discontinued but as of January 27th there were some card kit paper packets under While Supply Lasts on the CTMH shopping page. If you are interested in any of my kits just go to the "Contact Me" section and send me an email. Also go to the my Scrapbooking Kit Tab for other available kits. This is the very fist project I made. It was a make and take last Spring at the Scrapbooking Expo at Oaks. I love making the flower. 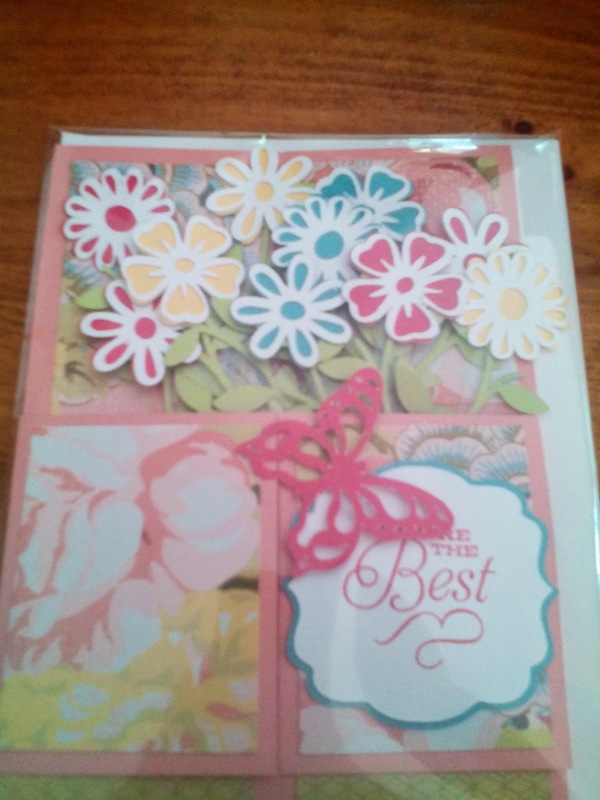 These two pages are for my first scrapbooking kit that I created for Craft Shows I used CTMH Chantilly paper. I distressed the edges with Cotton Candy ink. The only item that is not a CTMH product is the ribbon. I used some ribbon that I had on hand and that went well the Chantilly Paper. I have finally created my blog. Please bear with me while I learn to blog. The purpose of this blog is to share my love of crafting. In the past I have quilted, painted ceramics as well as many other crafts. Currently, I have fallen in love with paper crafting and the products from Close to My Heart so I became a Consultant. The quality of their paper and stamps surpass those that are sold by other companies. They also have there own line of Cricut Cartridges that I just love. Please follow me and return frequently for updates. 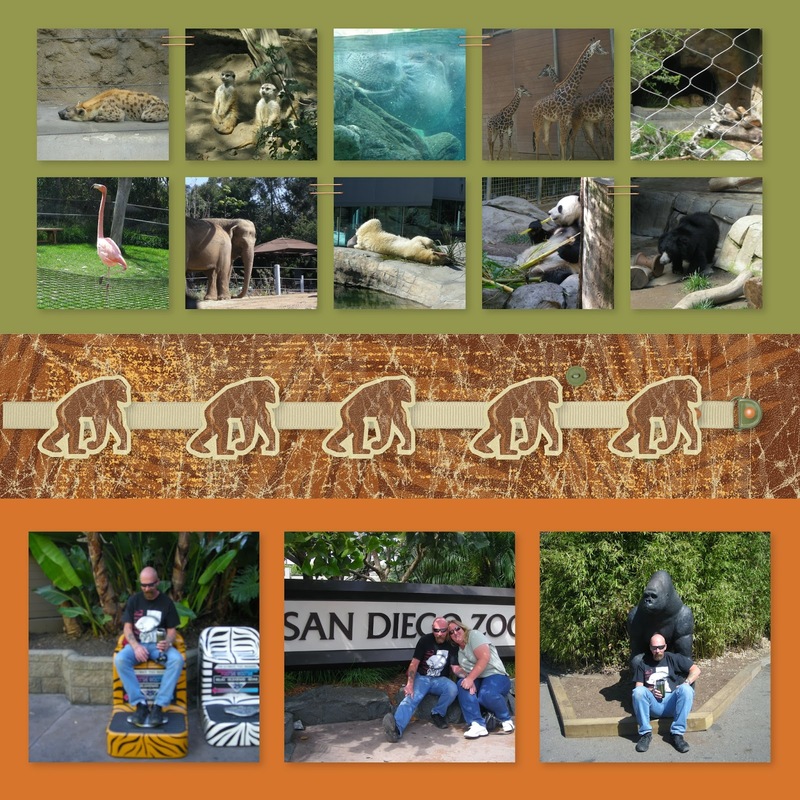 This is another 2 page layout I have made into a kit. The For Always paper is one of my favorite. It is very elegant. This paper packet and the Chantilly paper packet are still available for a limited time on my CTMH website. Just click on the Shop CTMH icon. If you are interested in any of my kits just go to the "Contact Me" section and send me an email.